He won varsity letters four years in both baseball and basketball at Ware County High School from 1972 through 1976. In basketball he won the Most Improved and David Earl Jeffords Memorial Award as a sophomore. He earned the Best Offensive Player and High Scorer for the year trophies in his junior year. Accolades continued to accrue his senior year as he claimed Outstanding Offensive Player, Most Valuable Player, and High Scorer of the Year honors. His leadership skills resulted in his teammates choosing him captain of the team. Jack led Region 1-AA in scoring for three years and had a 22 point game average his senior season. He career total exceeded 1,300 points. On the diamond, he claimed the Golden Glove Award in 1975 and was the Most Outstanding Defensive Award winner in 1976. In addition to this athletic prowess, Jack was an Honor Graduate and Senior Superlative in the Class of 1976. He played two years of basketball at Georgia State College in Milledgeville and went onto Clinch Valley State College in Wise, Virginia where he played two years as a starting player in basketball and baseball. Jack was on the Dean’s List and earned his Bachelor of Science in Health, Physical Education and Math. He was an assistant basketball coach there in the 1980-81 year. He retuned to Georgia State College as a graduate assistant basketball coach and attained a Masters Degree in Education. From 1982 through 1988, he was the head boy’s basketball coach at Fitzgerald, Georgia winning both sub-region and region championships, Coach of the Year Awards, and other honors. His 1987-88 team was the state runner-up in Class AA losing by 3 points in overtime. He was the head coach in golf from 1984-1988. 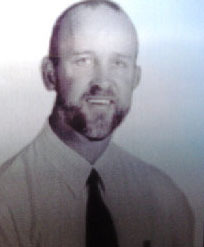 His 1986 and 1988 teams won region championships. He was also an assistant coach for baseball and football at Fitzgerald. Moving to Tifton in 1989, Jack continued to coach recreational and church league teams and won many championships while he was an administrator in the Tift County Schools. Jack died in 2006. His widow Iris still lives in Tifton. Their children are Jack Duke Gibbs II, Aaron Jake Gibbs and Ashtyn Rose Gibbs.